For your clan, war is a constant. Just as you need meat to sustain you and leather armor to protect your green skin, war keeps your thirst for chaos and violence sated. This Dervish LARP Spear is inspired by a primitive glaive. The blade is curved and spiked to give it a vengeful look, sculpted and handpainted to appear attached to a wooden pole with leather ties. This latex weapon is perfect for LARP battles. The weapon is designed to look worn and realistic, with wood grain textures and a matte metal finish. 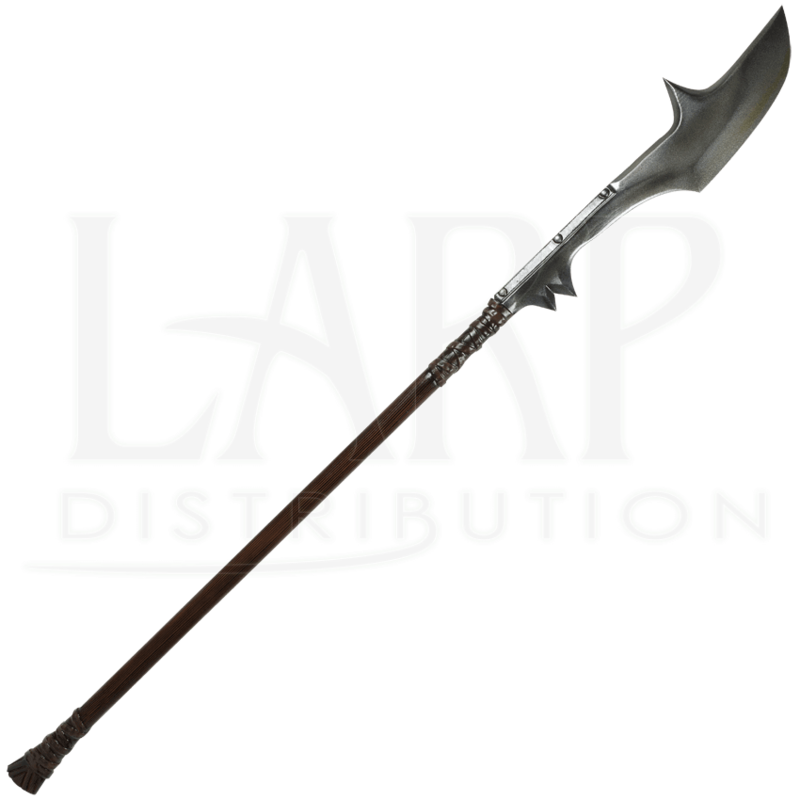 Made from durable, closed cell foam around a fiberglass core and finished with a strong latex coating, you can feel confident that your LARP weapon will provide the safety and appeal you want when crafting your kit. The Dervish LARP Spear has an overall length of approximately 75 inches. Please be aware that measurements may vary slightly, as it is a handmade item.